The clear awareness of having been born into a losing struggle need not lead one into despair. I do not especially like the idea that one day I shall be tapped on the shoulder and informed, not that the party is over but that it is most assuredly going on—only henceforth in my absence. 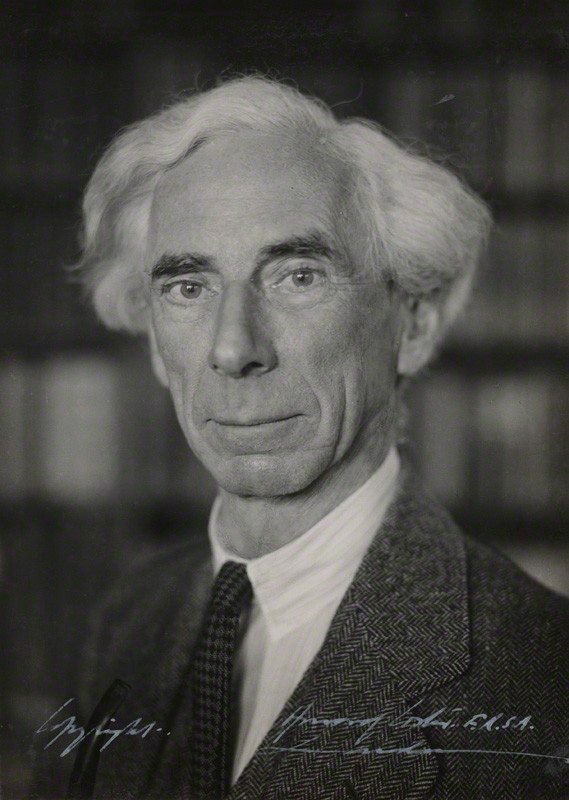 (It’s the second of those thoughts: the edition of the newspaper that will come out on the day after I have gone, that is the more distressing.) Much more horrible, though, would be the announcement that the party was continuing forever, and that I was forbidden to leave. Whether it was a hellishly bad party or a party that was perfectly heavenly in every respect, the moment that it became eternal and compulsory would be the precise moment that it began to pall. diagorasofmelos.wordpress.com has been added to The Atheist Blogroll. You can see the blogroll icon in my sidebar. By clicking on it you can see all the member blogs. 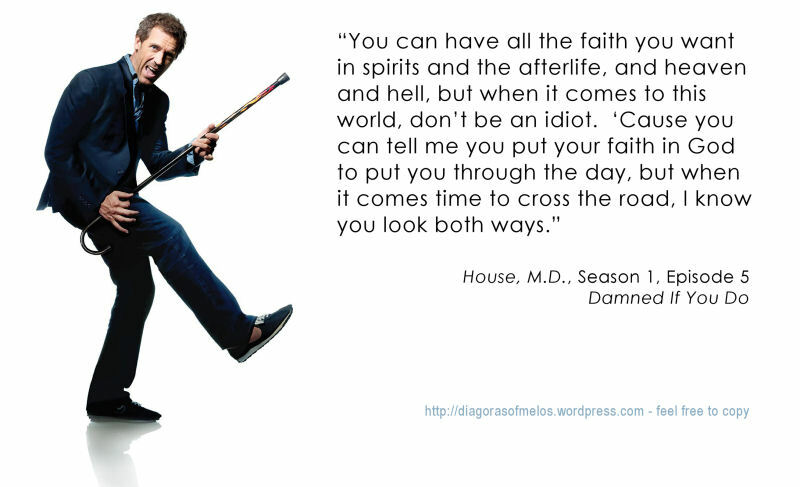 Excerpt from a conversation between Gregory House and some religious nut. 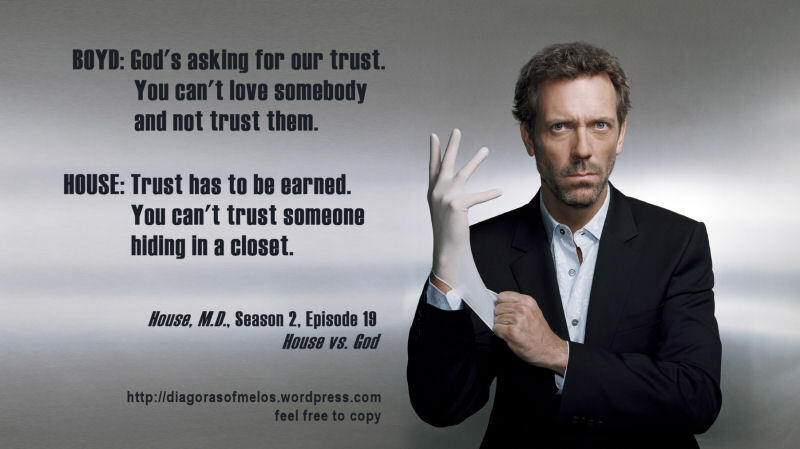 House, M.D. on just how important life is. 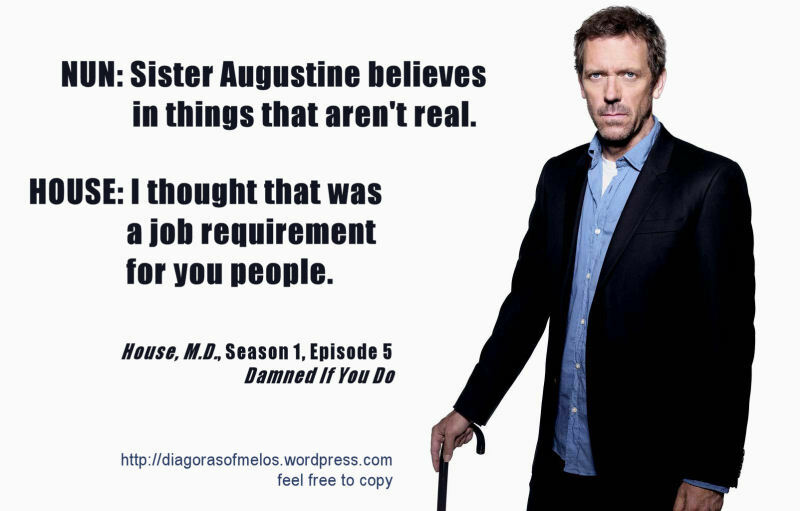 In todays sacrilegious picture, Gregory House explains to a religulous young lady just how much life matters to people, and to god.